Ill health prevented my attendance, so as far as I can, I will let Rev. John’s words speak for themselves. God’s voice calls to us, naming us in holy love. Christ’s voice chastens us, correcting us when we lose our way. The Spirit’s voice sounds within us, drawing us back to the paths of righteousness. God’s voice heals us, naming us as God’s own. From generation to generation, God names us and claims us. Let heaven and earth praise God’s holy name. From our earliest steps, Christ guides our wayward feet. Let all who draw breath come back to the Lord. From death to life, the Spirit sets us free. Let the faithful rejoice in God’s holy covenant. Spirit of the ages, as you called to Abram and Sarai, renaming them according to your purposes, call to us this day. Open our ears to the sound of your voice…. God above every name, when our vision dims, and we prefer human thoughts to your thoughts, heal our eyes of faith. Grace above every grace, when our suffering closes us off from the joy on the other side of suffering, grant us your strength to follow Christ in hope and promise. By saying no to ourselves, and picking up our cross to follow Christ, we find ourselves. By saying yes to the good news of God’s Spirit working within us, we find faith and wholeness. God’s promises are sure; God’s love eternal. Let all who would become Christ’s followers deny themselves and follow Christ in love and grace. Let all who seek freedom pick up their cross and follow him, even when the road is long. On this journey, let us turn to one another and share signs of grace and peace. Peace be with you! And also with you! Just Who Is This Man? “…there must have been a good deal of speculation about who Jesus was. All of his activities, separately and together with his disciples, had to have attracted the attention of many. Certainly, we know the authorities took notice. Just who was this man, Jesus? What Jesus asks of each of us is that we follow him, keeping our eyes on him who endured everything for us. Wherever life's path takes us, we are to let his love and his light, be our guide. How trusting and faithful are we? Can we do better? 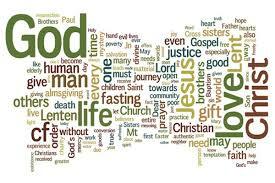 Let us try during this Lent to be the disciples Christ calls us to be, disciples who truly follow Jesus to the cross. Hear the voice of God calling your name. We will follow where God leads us. Hear the voice of Christ claiming you as his own. We will live as brothers and sisters in faith. Hear the voice of the Spirit sending you forth. We will go where the Spirit sends us. Go forth, called, named, and claimed by God. Rowena introduced her theme with a poem which I think is worth printing in full. The oppressed freed, The oppressors changed, And every tear wiped away. When we become rainbows to each other. Amen. We had been each given a slip of paper on which was printed a rainbow and on each band of the rainbow, sins of which we are all sometimes guilty. At this point we were invited to make personal confession and take that piece of paper with our confession and offer it to God. We placed those confessions in a bowl and then took another Rainbow printed paper where the bands of which were overprinted with the words: love, creativity, joy, peace, faith and wisdom, all characteristics which grow from the good the Spirit can infuse into us. Interestingly the first slip of paper was just that…paper, which could disintegrate quickly. The second piece with the solid virtues which can sustain a life of light was laminated to protect it from weathering. The symbolism of the exercise was clear. So, in this way, the time of confession and lifting of burdens was to go with us, even as we proceeded with the rest of the service and our lives after the service. in the scent of a flower holding the promise of spring. in the shower of love that comes from God’s Son. Let us give thanks to the Lord with all of our heart! We see God around us in many ways but fail to see that one way others see God is through ourselves. Are we failing to show God to others? Hymn TIS 52: “Let us sing to the God of salvation” I wonder if we are living out the theme of this hymn? Are we living lives of praise? If we are, we couldn't fail to show God to those around us. 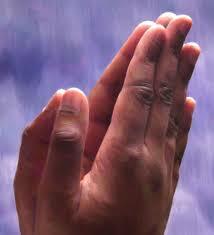 Almighty and most merciful God, we give thanks that you know us and love us. Help us, through the power of your Holy Spirit, grow deeper, wider, and fuller in our knowledge and understanding of your ways. Help us, through the bestowal of your divine Wisdom, bring others closer to you and to your Son, Jesus Christ our Lord, in whose name we pray. Amen. And there it is! If we make this our minute by minute attitude to walking with God, I think our church would be a better witness to our God. Rev. John then gave the children’s address (to the adults). He told about the pecking order in a chook yard and made a comparison between that and the functioning of society. He spoke of the violence and aggression. Sometimes that is not so easy to identify and sometimes we don't believe that we are behaving in such a way because the aggression is quiet, the violence is emotional or intellectual. When Rev. 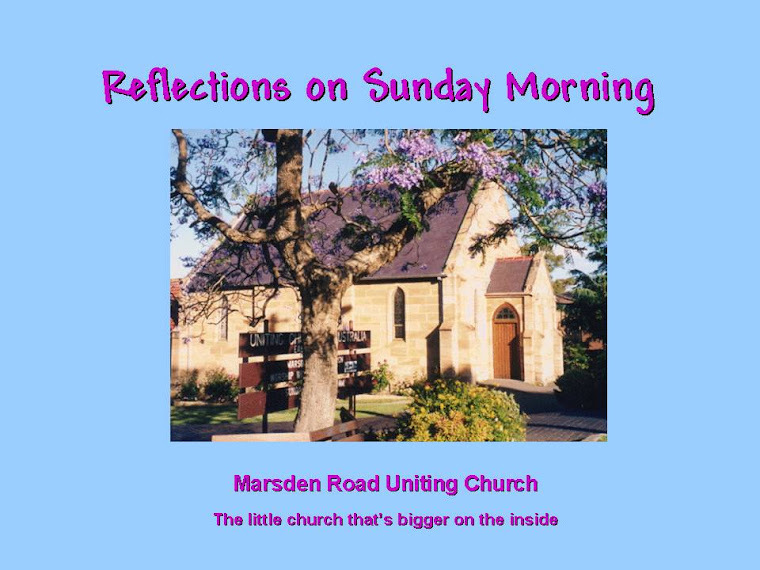 John began his sermon he spoke of experiences anyone of us may have had, where a charismatic leader caught our attention. In my experience that can happen simply because of the personal appeal of the leader. Or it may be that the leader makes their message so relevant to our way of thinking that we think we have found the good oil. But when Jesus spoke to the people of his time or to people of today through hymns, scripture, preachers, creation or the lives of others, what drew and draws people is a recognition of truth. Rev. John went on to speak of the ramifications of committing ourselves to that truth. We have to surrender our own personal desires and commit ourselves to the person of the one who is the foundation of all that is. The One who is love and light: the One who gave all that we could live a new life. This commitment to truth is a very personal thing between each of us and our Lord who is truth. And we need to commit anew each day. That is because we human beings are just so good at forgetting whose we are and who we need to connect with daily to continue living that truth. Hymn TIS 560: “All my hope on God is founded” If only we could keep that before us each day! us to teach others of God’s power and might. community, seeking to tell others our stories. opportunities, new ways of being. We go with joy. We leave in peace. Amen. Today I would like to pay particular attention to the prayers and hymns because I am usually not able to say much in the space available. Both prayers and hymns give us the words to express what we are unable to do on our own. Chariots and horses of fire . . . a prophet taken up into heaven . . . a gospel unveiled . 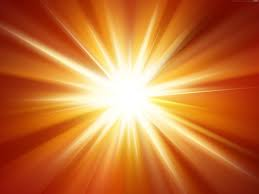 . . Moses, Elijah, and Jesus shining brighter than the sun . . . the time approaches and now is. Watch . . . listen . . . perceive . . . God is with us. Nothing is as it seems. understanding is involved when God becomes known to humankind. come to us in a way we can understand. The glory of God is too great for you to bear. We are not afraid. We will not turn back. The mystery of God runs too deep for you to fathom. We are not deterred. We will not turn back. The fiery chariot of Elijah is not for mortal sight to see. We are blessed with the eyes of faith. We will not turn back. Come then, and worship our God, who took Elijah up to heaven in a whirlwind. Even though God is great beyond anything we can imagine, as expressed in the first hymn: “Jesus shall reign where’re the sun”, we are invited to approach and fellowship with that Divine presence. How good is that! God of mighty tempest and devouring fire, you come to us shrouded in mystery. Just as Elisha followed Elijah until he was taken up into heaven, we will follow Christ up the mountain to behold his glory. Who are Moses and Elijah that we should not join their ranks among the faithful? What is to prevent us from shining with Christ this very day? Give us eyes and ears of faith, Holy One, that we may see the heavens open and hear your voice, calling us to follow your Son. Amen. Through the light of the one who was transfigured to show us the power and glory of God, we find a way through the wilderness of our doubt and confusion; we find strength for the journey and courage for the road ahead. Thanks, be to God! It is that freedom from all that weighs us down that we all long for. Light of Light, when we grow accustomed to dwelling in the shadows and painting with drab colours, you bless us with your radiance and the vitality of your love. Illumine these gifts, Holy One, that the world may see your light shining through our offering. Illumine our very lives, O God, that we may remain restless until we shine like Christ upon the mountain, until we follow Elisha’s footsteps and behold your glory. Amen. In my experience, we are made restless until we reach out to the only source of Light and Love. And if we stray, that restlessness will return until we find the only cure. The words of the next hymn: “Lord your almighty word” are a guide to finding God and God’s Light and Love to show to the world and thereby commune with God and build God’s Kingdom…now….here. Go forth with the courage to climb the mountain of God. We will walk in the light and truth of Christ. Go forth with ears to hear the voice of God. We will hear the call to follow Jesus. Go forth to live as people who shine with Christ’s glory. We will leave footprints of light as we walk. Go forth in expectation and hope, for God goes with you, and may the blessings of that God go with you, Amen.